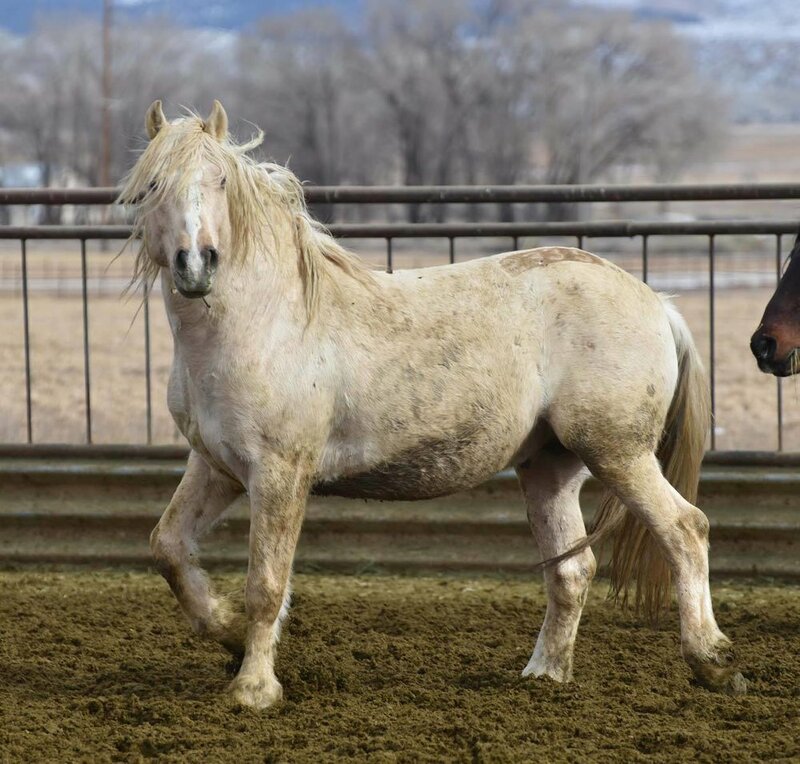 Champ is a stunning Salt Wells Creek horse who was rounded up at the same time as Goliath. He and five members of his family were driven by helicopters into a trap and we sadly have the photographs of every moment of that last day of freedom for this family. When Goliath was in the BLM corrals for months before he was put up for adoption, he was inseparable from Goliath and Maestro. In every photograph of Goliath you could visibly see one or the other close to him - keeping together for comfort. We focused on Goliath and were happy to hear than another rescue was taking Champ and Maestro to keep them together. A few months later that rescue asked us to take them both to give them more space and freedom as they were huge horses and they felt that Skydog would be the right place to give them that. We were happy to say yes and in the spirit of the re-wilding that they support and advocate for we took these two incredible older geldings and both now have mares to keep them warm in their old age. Sadly, although we looked in all the pens they might be, we were never able to find Champ’s beautiful family. We hope that we have done a good job in giving him back freedom and wildness and a new family.